Qualified candidates are strongly encouraged to visit our website to view job descriptions and to apply. http://jobs.mtholyoke.edu Review of applications will begin immediately. Diverse candidates are strongly encourage to apply. 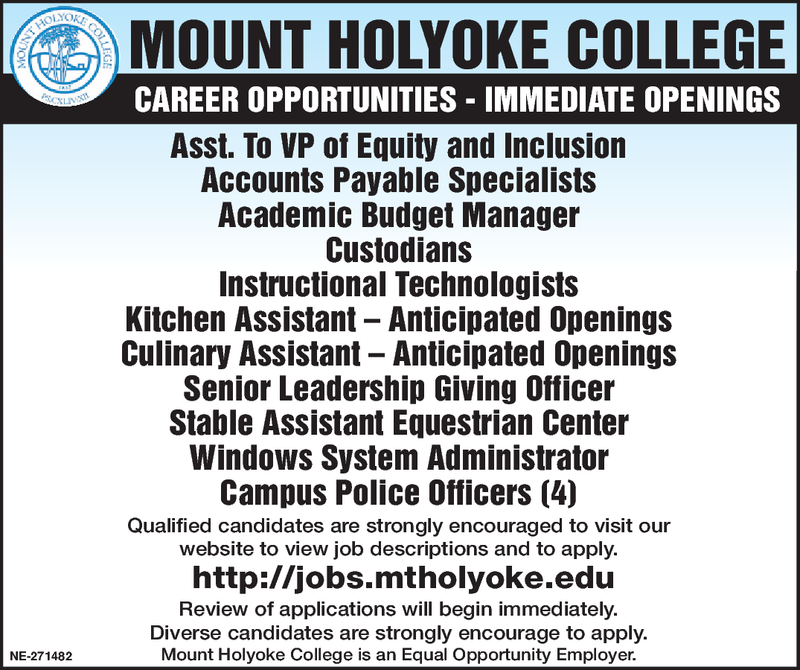 Mount Holyoke College is an Equal Opportunity Employer.